Text from Lo and Inn et al, Cheng Tzu’s Thirteen Treatises on T’ai Chi Ch’uan (1985) North Atlantic Books. Question 1: If the ch’! is stimulated and the shen is internally gathered, does it mean that the hsin mobilizes the ch’i and the ch’i mobilizes the body? Is this the origin of the inner and the outer mutually responding to each other and also the unification of movement and stillness? Please explain. Answer: Your question is good. 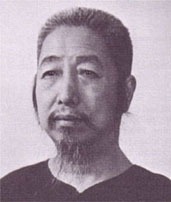 To mobilize the ch’i throughout the body is the basis of the internal. Stimulating the ch’i is the end result and is external. Gathering internally is stillness and stimulating the ch’i is motion. They are mutually responsive and joined together. To excite the ch’i means not only to stimulate one’s own ch’i but to join one’s ch’! to the ch’! of Nature so as to reinforce each other. Then it is excellent. Question 2: “Let the postures be without breaks or holes, hollows or projection, or discontinuities and continuities of form.” Does this quotation have the same meaning as the description from the Treatise “Strength and Physics” which says, “Slowly without breaks, circularly and continuously repeating itself, wonderful and divine, without end”? Question 3: “The motion should be rooted in the feet, released through the legs, controlled by the waist, and manifested through the fingers.” The theory and the details have already been clearly explained in Treatise Eleven, Human Level, second and third degree. What is the method of mobilizing the hands and feet at the same time? Question 4: When the opportunity and the timing are correct it is the pinnacle of tung chin. This is clearly explained in your Treatise Eleven, Heaven Level, second degree, but to know its application is difficult. Please give some examples. Answer: Study my commentary on the ninth point in the last treatise of the Thirteen Treatises and you will find it. Question 5: After I read Treatise Seven on “Strength and Physics” concerning the use of leverage I understood the quote, “Up or down, front or back, left or right …. ” Is there anymore? Answer: Just change the position and think about it. The substance and the application are similar. Question 6: “By alternation of the force of pulling and pushing, the root is severed and the object is quickly toppled, without a doubt.” Is that t’i chin? Answer: To lift up is t’i chin, but this is not the power capable of raising up an opponent. That power comes by first pulling and then pushing, meaning that you first give way before you attain it. It is similar to squatting down first to get the power for jumping up. In physics, the equation is Force x Speed x Time = Energy. Question 7: “In motion it separates; in stillness they fuse.” What is the difference between separating and fusing, bending and extending, and opening and closing? Answer: With regards to T’ai Chi, in stillness it fuses and in motion it separates. However, opening and closing refer to the body and the ch’i. When the body opens, the ch’i closes, and vice versa. Bending and extending is the same as opening and closing. Question 1: “When the opponent is hard and I am supple, it is called tsou (yielding). When I follow the opponent and he becomes backed up, it is called nien (adherence).” I already know the application of kang (hard) and [ou (supple). What are shun, pei and nien? Answer: Shun is called “giving yourself up to follow others;” likewise: ‘If others don’t move, I don’t move.” Then others cannot figure me out. If I give others a gap, this is called pei. “If others move slightly, I move first:” means I know others have a gap and then to take advantage of it, I become first and others fall behind – this is also called pei. It is all based on t’ing chin (listening to strength), so that you must have nien. Question 2: “From familiarity with the correct touch, one gradually comprehends chin (internal force); from the comprehension of chin one can reach wisdom” is all clearly explained in Treatise Eleven, Heaven Level, second and third degree. Besides this explanation, is there anything else? Answer: It is complete. There is nothing else. Question 3: “Empty the left whenever a pressure appears, and similarly the right.” What does this mean? Answer: This is the way to use it. If the opponent gives me a hearty push on my left, I empty my left side- similarly from the right. Ao means empty. In the substance it occurs in different ways. Question 4: What does it mean to say, “(So light an object as) a feather cannot be placed and (so small an insect as) a fly cannot alight”? Answer: During Push-Hands, besides chan and lien (adherence), the opponent will try to put his strength on me. I cannot receive even the weight of a feather or the motion of a fly. Question 1: What is the difference between, on the one hand, “The hsin (mind) mobilizes the ch’! (breath). Make the ch’i sink calmly; then it gathers and permeates the bones;” and, on the other hand, both “The shen (spirit) should be internally gathered” and “The ch’i sticks to the back and permeates the spine”? Question 2: “To fa chin (release energy), sink, and relax completely.” Why is someone still required to relax when he executes fa chin? Answer: “To sink” is the substance and depends on me; “to relax” is the application and is connected with others. When you discharge others, it is like cleanly releasing an arrow from a bowstring. Question 3: “The li (force) is released by the back, and the steps follow the changes of the body.” Is this the same li that is mentioned in Treatise Six, which circulates through the jen and tu meridians? Are “the steps following the changes of the body” commanded by the waist? Answer: The word li in the sentence “the li released by the back” should be chin. The phrase “released by the back” means force originating in the back. Therefore, the statements “Store up the chin (internal strength) like drawing a bow,” “The steps following the changes of the body,” and “Commanded by the waist” are all correct. Question 4: “To withdraw is then to release, to release is to withdraw. In discontinuity there is still continuity.” The “withdraw” already contains the meaning “to t’i fang,” but what is “in discontinuity there is still continuity”? Answer: Discontinuity is the physical form and continuity is the i (mind). It is like a broken lotus root with the fibers still connected. In Chinese calligraphy the stroke may be broken, but the mind is still connected. Question 5: “In advancing and returning there must be folding. Going forward and back there must be changes.” Please elaborate on these two sentences. Answer: It is said that the folding technique is the secret of the Yang family. It is to fold the three parts: the shoulder, the elbow and the wrist. The technique is strengthened by unlimited repetitions and changes of going forward and back. Question 6: “Throughout the body, the i (mind) relies on the ching shen (spirit), not on the ch’! (breath). If it relied on the ch’i it would become stagnant. If there is ch’i, there is no li (external strength). If there is no ch’i, there is pure steel.” In the beginning when I read this I doubted it. I later studied Treatise Eleven, Heaven Level, third degree and completely understood it. Besides this, is there any further explanation? Question 1: “Being still, when attacked by the opponent, be tranquil and move in stillness; (my) changes caused by the opponent fill him with wonder. Be still and wait for motion, for in motion there is also stillness.” Why is it said “fill him with wonder”? Answer: If you are not still, you cannot perceive your opponent’s changes. Let him change but you can still control him with stillness. That is what “fill him with wonder” means. Question 2: Is the sentence, “Completely relax the abdomen and the ch’i (breath) rises up” the same as the statement in Treatise Eleven, Earth Level, third degree, “The tan t’ien mobilizes the ch’i”? Answer: No. The latter is the function of the exhalation when you fa chin. When you fa chin you cannot hold your breath. If you do you will be internally injured. Therefore you must give a loud shout; then the ch’i follows the chin rising up. Question 1: In the sentence, “Be conscientious in p’ eng (ward-off), lu (rollback), chi (press), and an (push),” what does conscientious really mean? Answer: It has already been explained in the commentary in Treatise Thirteen, number eleven. Question 2: The sentence, “Use four ounces to deflect a thousand pounds” has been already clearly explained in the Treatise Thirteen, number twelve. Besides this isthere any further explanation? Question 3: “Attract to emptiness, absorb, and discharge; attach (chan, lien, t’ieh, sui) without tiu ting (losing) the attachment.” Does “absorb” mean to store up the energy and then release and what does “without tiu ting (losing) the attachment” mean? Answer: This is also explained by ti fang. Tiu is really disconnecting. Ting means contrary force. These two words are contrary to lien and sui. Because you have yourself, you cannot give yourself up to follow others. Article written by Cheng Man-ching.